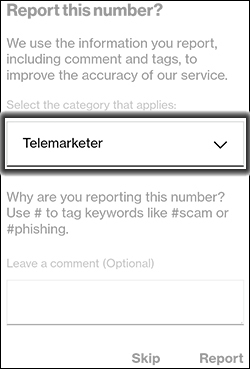 Call Filter (formerly Caller Name ID) provides you with additional caller detail (e.g., city, state, name, etc.) 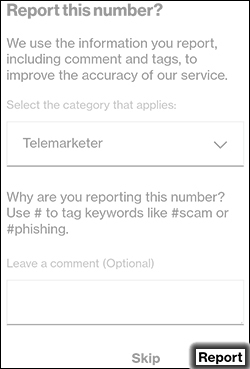 and enables you to manage and block spam calls. 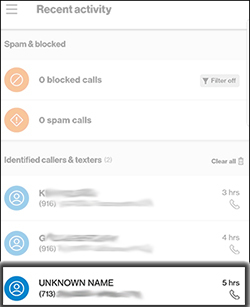 From a Home screen, navigate: Apps > Call Filter . If necessary, subscribe to Call Filter Premium. 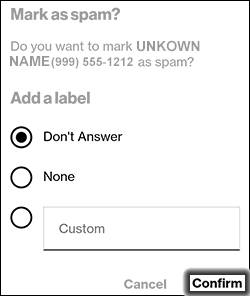 Tap a 10-digit phone number from the list. Select an option then tap Confirm. 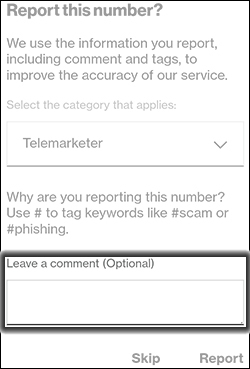 Select a category (e.g., Scammer, Telemarketer, etc.). If you don't want to report the number tap Skip. 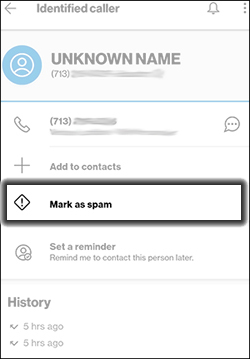 If desired, enter a message about the number the number being blocked.